This is the story of the rise and fall of the Crystal Theater, a small neighborhood movie house in the old Polish enclave of Michigan Avenue and Junction, on the southwest side of Detroit. It’s where my father grew up and where I lived for the first ten years of my life. The Crystal was located on the corner of Michigan Avenue and 31st street. This was actually the second Crystal Theater on Michigan Avenue. The first Crystal, located across the street and a block over, was demolished as part of a massive road widening project in the late 1930s. It had been in operation since the days of silent movies, so the neighborhood was excited to welcome this new, Streamline Moderne style theatre to the area. The front façade of the Crystal was covered with porcelain-enameled panels of Chinese red, yellow and black. The marquee was embellished with yards of colorful neon and hundreds of tungsten filament Mazda lamps that chased magically along the front and undercarriage of the theater’s entrance. The Crystal certainly wasn’t as grand as the downtown movie palaces like the Fox or the United Artists, but it was the most modern Art Deco building in the neighborhood. 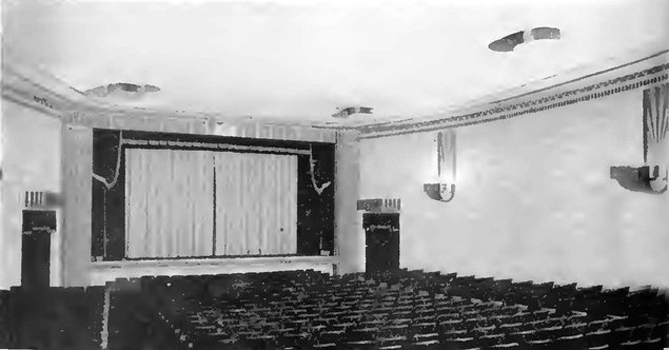 The auditorium seated 568 and offered tempered warm air in the winter and air-conditioned comfort for the summer months. The relatively new sound equipment and movie projectors were salvaged from the razed theater across the street. Nearly every Detroit neighborhood had at least three or four movie theaters within walking distance. In addition to the Crystal we had the Senate, the Imperial and the Kramer, which was at one time the second largest movie theater in Detroit. Saturday matinees at the Crystal were very popular with the neighborhood kids. 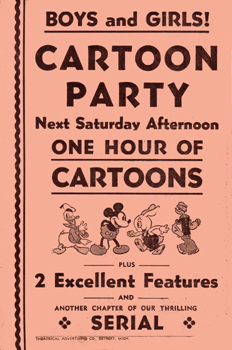 For one thin dime you could see an hour of cartoons, a newsreel, the latest serial chapter, maybe a Three Stooges or Laurel and Hardy short and two feature films. Saturday night at the Crystal meant free dish night. Dinnerware manufacturers struck a deal with theater owners. to sell them their product at wholesale prices to be given to theater patrons for the price of a movie ticket. It kept the pottery factories open and boosted theater attendance. Young women and housewives (who were the target market) attended the movies weekly for months just to collect an entire set of matching china. On occasion the Crystal offered two dishes for the price of one admission. It didn’t really matter what film was playing, the dinnerware was the star. With the end of World War II, America experienced phenomenal economic growth, due in part to the auto industry and a housing boom. Americans had more money to spend on luxury items, gasoline was no longer being rationed and the mass migration to the suburbs had begun. By 1950 television had become the dominant entertainment medium in the United States. Factor in the Hollywood Anti Trust Case of 1948, which forced movie studios to sell their theater chains, and the old neighborhood movie houses didn’t stand a chance. 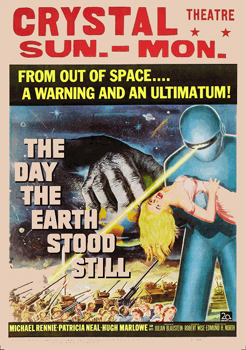 The Crystal’s movie screen went dark forever on Saturday, April 23, 1955. On Sunday morning the lobby doors were padlocked tight and the marquee read “CLOSED FOR BUSINESS.” The last picture show for the Crystal was a double feature, The Black Dakotas starring Gary Merrill and Loophole, a film noir drama starring Barry Sullivan. I was born eight months after the theater closed, so I never got to experience a double feature at the Crystal. But I listened attentively to my father tell stories about attending the Saturday matinees, the Halloween showings of Dracula and Frankenstein and how the manager would eject kids for throwing popcorn at the screen. I lived just around the corner from the Crystal on 31st street, and would often pass it while walking with my mother to the Kramer Meat Market, Piaskowski’s Drugs or any of the other specialized businesses that thrived on Michigan Avenue. If it started to rain during one of our walks we would stay dry under the Crystal’s marquee until the raindrops stopped, while I peered into the lobby windows. Like many others before us, we left the old neighborhood in 1966 for suburbia. The Crystal sat, empty and decaying, for nearly two decades. In the early 1970s the beautiful Streamline Moderne marquee was ripped from its front facade, the entrance bricked over and its now rusted porcelain tiles painted a dull yellow. The interior was gutted and the Crystal began its second life as the Cheers Party Store. Like every other party store in the city they sold beer and wine, cashed welfare checks and sold money orders. A sad ending to a once grand building. The building was ultimately destroyed by a suspicious fire. It is now an empty lot. The once vibrant neighborhood is now pockmarked with more empty lots, abandoned buildings, free clinics and liquor stores. The Kramer was leveled decades ago and the Imperial is now home to a dog food store. Only the Senate is still thriving as the home of the Detroit Theater Organ Society. The story of the Crystal Theater isn’t unique. 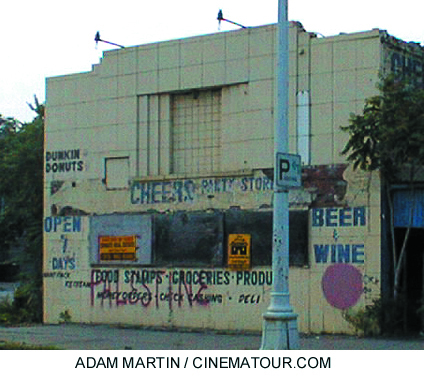 Dozens of Detroit neighborhood movie houses have suffered the same fate. And the situation isn’t any different in other major cities. The small independent theaters that have survived are now facing a new challenge with the shift from film to digital projection. At a cost of $100,000 for a digital conversion, one in every five screens in the United States could go dark because they can’t afford to convert. The neighborhood theater was the anchor of the community. 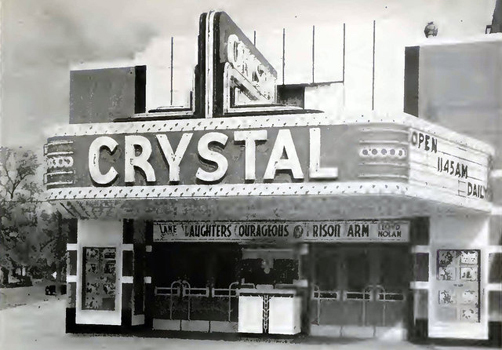 Although the Crystal was in business for only seventeen years, it provided entertainment, information and fond memories for a generation of Detroiters who lived in the old Polish neighborhood of Michigan and Junction in the 1940s and 50s.